What began as an exploration into the crystal structure of gemstones, has unfurled into a deeper and unexpected insight into all metals, minerals and organic compounds, as they too crystallise. Through researching hundreds of clinical cases and provings Peter Tumminello has arrived at a refined understanding of the implications of crystal structure in modern practice. This understanding not only assists in prescribing medicines, it provides insights into the unique turn of mind that creates the personality – the nature of the human psyche itself. 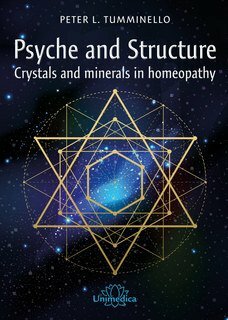 Peter Tumminello's latest work on Crystals and minerals is immense in it's depth in examining how we as individual's relate to the world. This amazing contribution to Homoeopathy allows us to understand what drives us and how we express this. Understanding these structures gives an invaluable tool in Homoeopathic prescribing allowing us to prescribe at the deepest simillimum. 7 personnes ont trouvé ce commentaire utile. Vous trouvez ce commentaire utile?